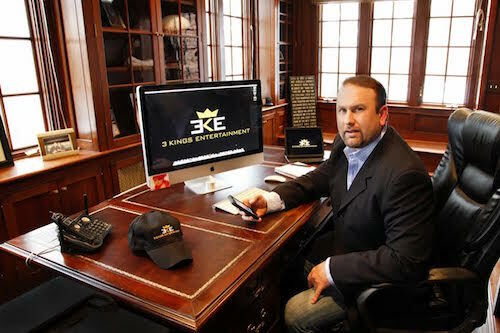 3 Kings Entertainment was founded by President Matthew Kingsley and represents a diverse group of media personalities. We take pride in identifying, developing and guiding the careers of The Next Generation of Talent. We are a full-service talent representation firm focused on achieving success for outstanding talent in broadcasting, cable and new media. 3 Kings Entertainment provides exceptional client services by knowing our clients and the industry in which they work. We represent news anchors, reporters, sportscasters, correspondents, weathercasters and studio hosts, locally and at the national level on Fox News Channel, CNN, HLN, ABC News, ESPN, Fox Sports Net, Comcast SportsNet, Golf Channel, NFL Network, MLB Network, Big Ten Network and within the major station groups on FOX, ABC, NBC, CBS, Tribune, Gannett, Hearst, Belo, Scripps, Post-Newsweek, Sinclair, Meredith and Raycom.